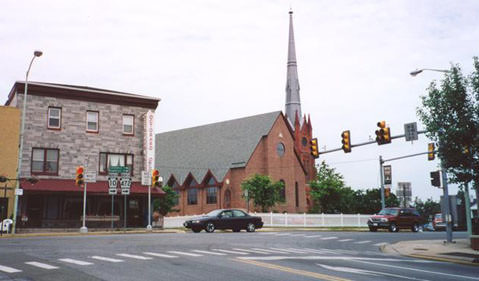 The sign assembly at far right is for the benefit of drivers on Pine Street, which did not figure into the historic US highway junction. 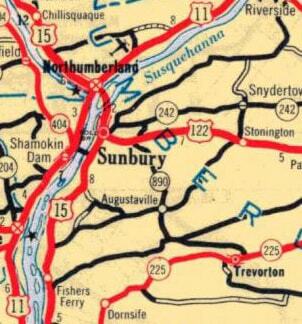 The cars in the center of the photo were at the south end of PA 10, which was historically the south end of US 122. Straight ahead was southbound US 1, while northbound was to the left on Market. 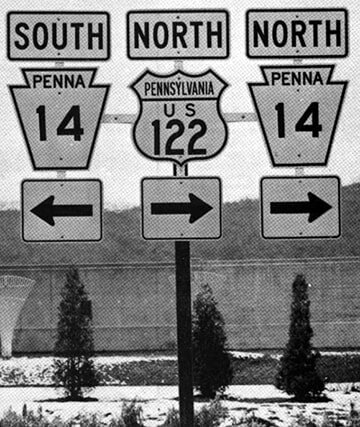 Presumably the missing interstate shield was for I-176, which begins about a quarter-mile to the right and heads north to Reading. 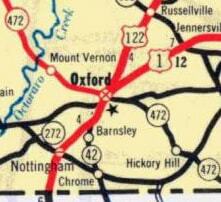 Before 1956, southbound US 122 was directed to the right from there on Main for about a half-mile, and then went south again along modern PA 10 to Oxford. 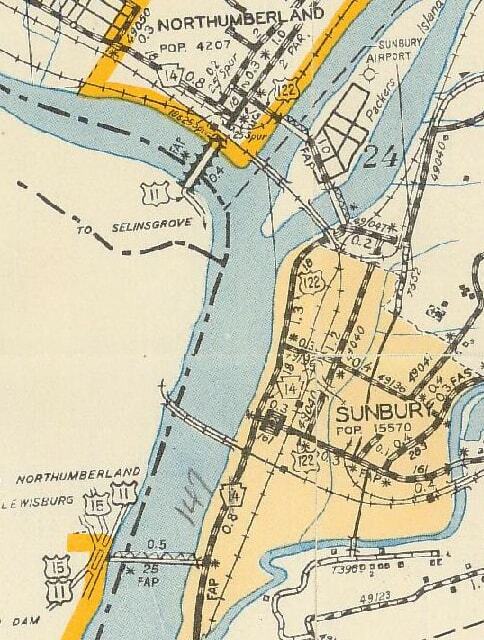 Then, from 1956 to 1963, the south end of US 122 was at its junction with PA 23 at the intersection ahead. 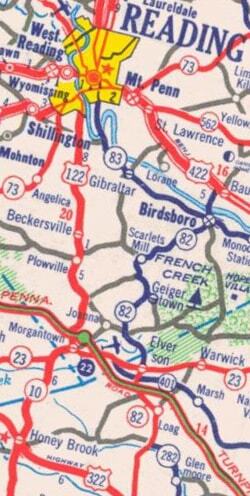 The route was completely decommissioned in 1963.
last updated Sep. 2, 2018.